The Curve is one of my favourite place to chill during my off days, but I always end up eating at the same place all the time. 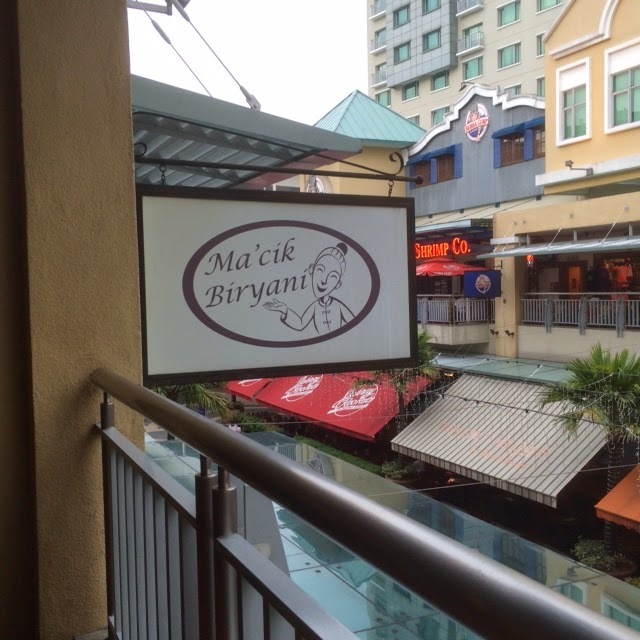 Decided to explore The Curve recently and found this beautiful local restaurant, Ma'Cik Biryani, which serves - what else? 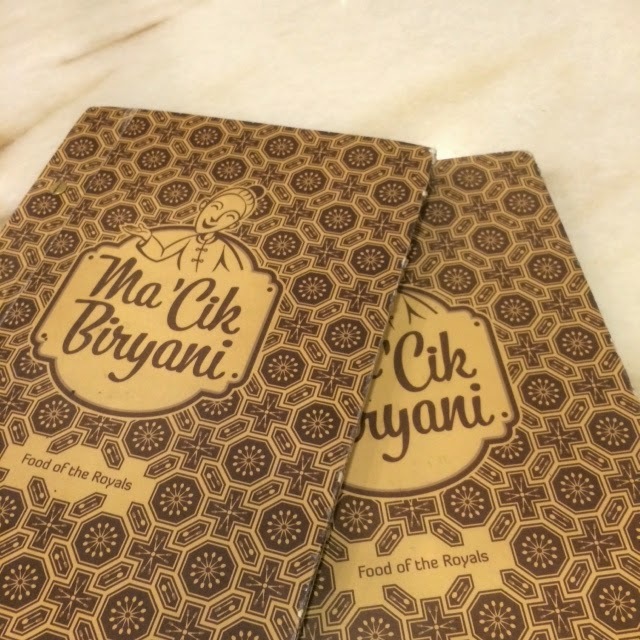 - Nasi Briyani. 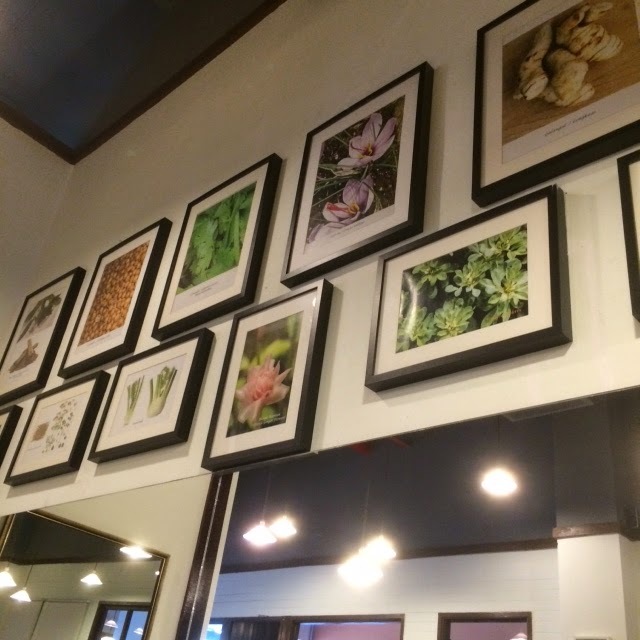 The photos on the banting they place near the door made me want to makan at this place even more. As we were looking at the menu, the staff didn't look at us. Yes, we wish they could be friendlier and more attentive, but I told myself, "I'm here for the food". 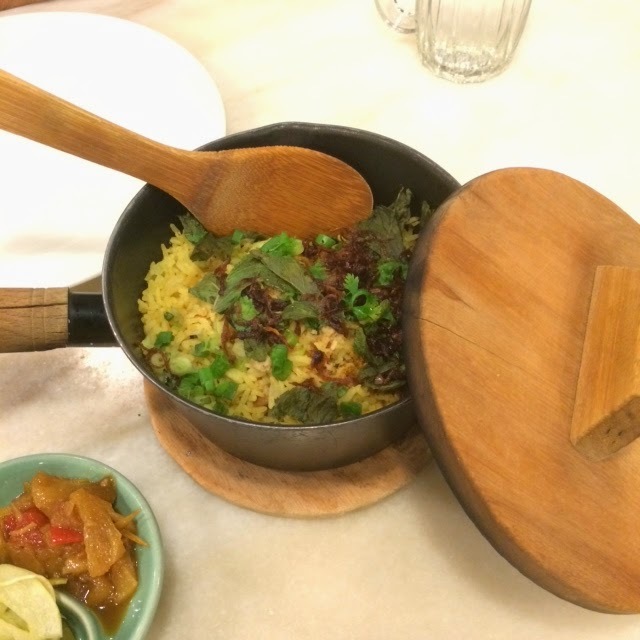 There are a variety of Nasi Briyani. There's the usual chicken, beef, chicken + egg combo, mutton and seafood. The prices range from RM12 - RM18++. I had the chicken briyani (there was just two pieces of chicken inside). Portion was big so I shared this biryani. 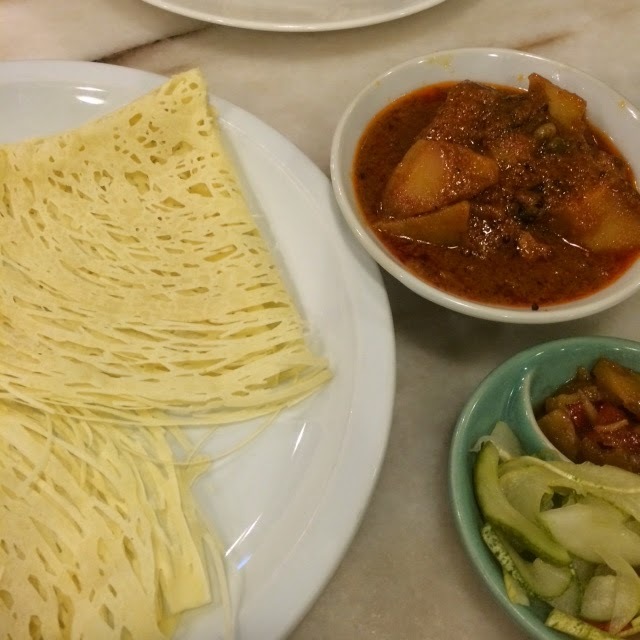 Roti Jala andChicken curry was a nice add-on. 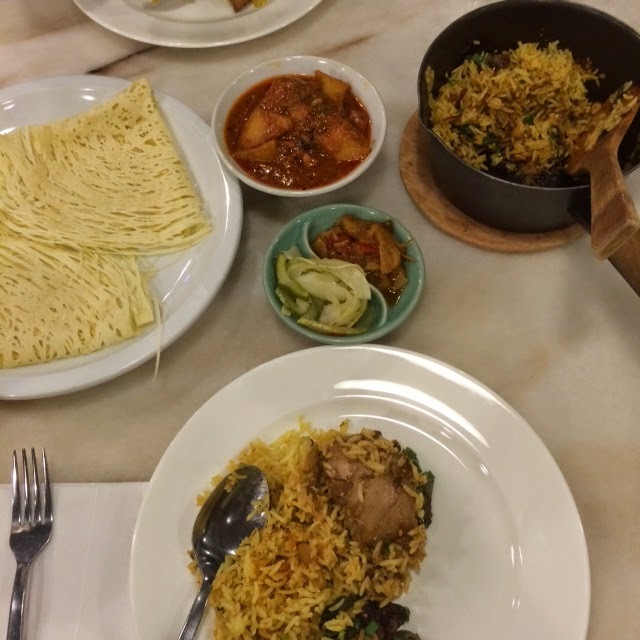 I enjoyed my nasi briyani despite average review from my meal partner (aka my mum). Nonetheless, the rice was cooked to perfection. I could taste the different spices used to cook the rice.